Join one of our sustainability workshops, walks or talks to learn more about Woollahra's unique environment and how you can help to protect and enhance our area. You can subscribe to Our Environment E-News here. 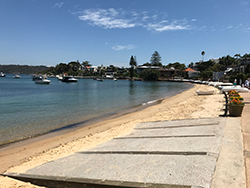 All local schools (from early childhood through to high schools) and community groups are encouraged to apply for Woollahra Council's Environmental Grants to support projects aimed at protecting or enhancing our environment. 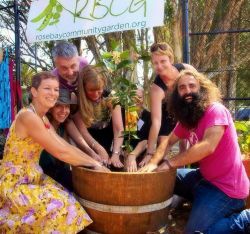 Community gardens are a unique form of open space where people can learn, recreate, socialise and demonstrate sustainable principles within a garden setting. 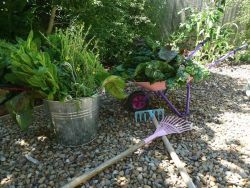 Community gardening is a valuable community recreational activity that contributes to health and well-being, positive social interaction, community development, environmental education, sustainable principles, protection and use of public open space. There are currently two community gardens within the Woollahra LGA and a number of communal gardens. 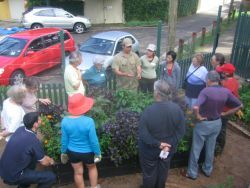 On 12 December 2011, Council adopted the Community Gardens Policy - 2011 with the inclusion of Community Verge Gardens. HarbourCare is a volunteer-based program where individuals and groups can sign up to help reduce the amount of litter in Sydney Harbour. There are already lots of locals picking up litter on our beaches, either on their own or in a group. HarbourCare is about recognising local action and providing further support for residents to connect and help to protect our local environment. Council runs a range of environmental and sustainability events and programs for Woollahra residents. Council runs a range of environmental and sustainability events and programs for schools and childcare centres located within the Woollahra area. Interested in having your own compost bin or worm farm, or want to get in touch with other sustainability-minded people across the 3 Council region? 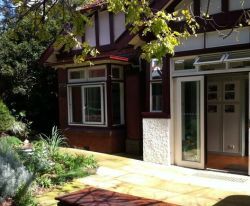 Our partnership with Waverley and Randwick Councils could be the answer!